The Wartburg Trabant IFA Club in the UK was founded in 1969 as the Wartburg Owners’ Club. Only the Czech Wartburg Club is known to be older. 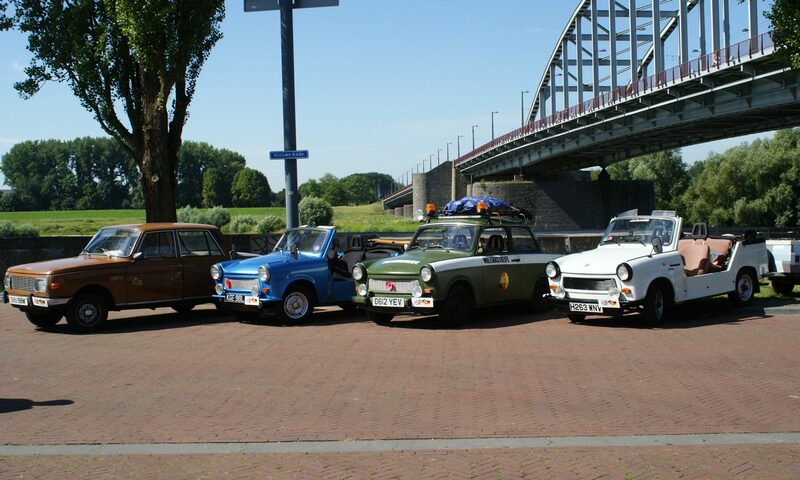 The Club has evolved over the years to include Trabants and other vehicles from the German Democratic Republic. Unlike the Wartburg, which was imported new to UK, these other vehicles only became familiar in UK after the fall of the Berlin Wall in 1989 and German unification in 1990. Today the Club welcomes all who have an interest in the eclectic vehicles produced behind the Iron Curtain during the Cold War period. 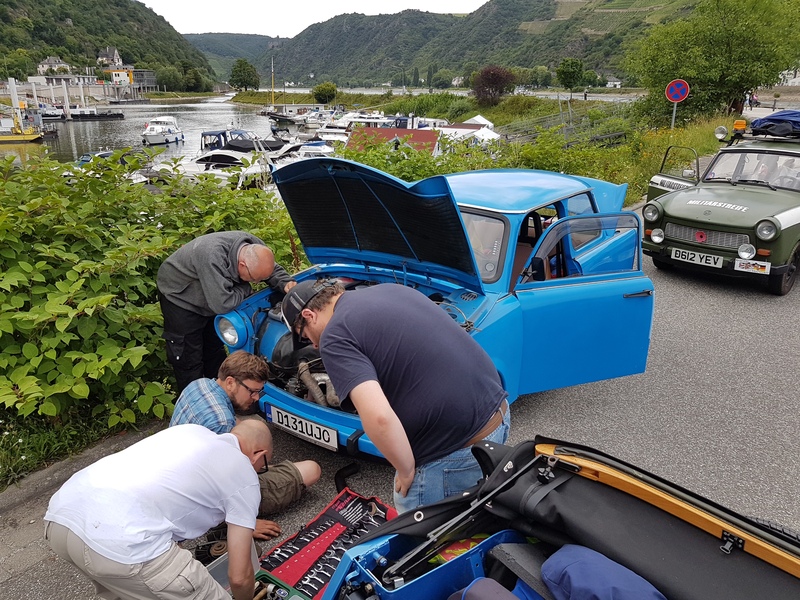 Our bi-monthly newsletter keeps members up to date with news, details of national and local meets for Eastern Bloc vehicles, technical topics, and more. Members receive assistance in registering imported Eastern Bloc vehicles and other benefits including discounts on vehicle insurance, lubricants, classic car shows at the NEC, Stena ferries to Ireland, and more – see the Join link for more details. The Club has over 250 members. It is non-profit making and professes no political affiliations. It is a member of the Federation of British Historic Vehicle Clubs. on the Bangers to Bratwurst tour 2017.